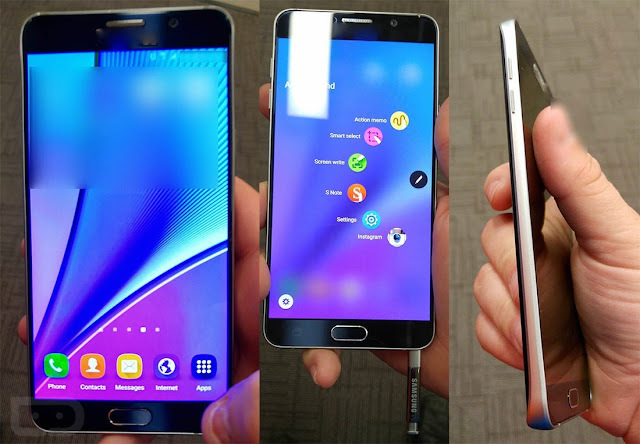 It has become increasingly clear that the Samsung Galaxy Note 5 will not come with a microSD card slot like Samsung’s previous Galaxy S6 and Galaxy S6 edge. Samsung sacrificing form for function will probably anger a lot of customers out there. However, there might be a slight chance the scenario is not all that bleak. According to an Asian source uncovered by Sam Mobile, it seems that the dual-SIM variant of the Galaxy Note 5 will pack the much-loved feature. As is the case with devices such as the Huawei Honor 6 Plus, the secondary dual-SIM slot might function as a hybrid, allowing users to slip a microSD card in there. Even so, you should be taking this report with a grain of salt, as we don’t really see the sense of Samsung limiting this popular feature to a certain demographic. What's more, Samsung is rumored to be focusing its marketing strategy on the Galaxy S6 edge+, while leaving the Note 5 in the background. Initially, the phablet won’t even be made available globally but on exclusive markets. Dual-SIM phones are currently the trend these days, so it might make sense that Samsung is prepping such a version too. Still, the possibility of Samsung offering a dual-SIM microSD-enhanced version of the already limited Note 5 in select markets remains pretty slim. At least in our eyes.